MAM Original Pacifiers, 16+ Months is rated 5.0 out of 5 by 35. Rated 5 out of 5 by Clarizzle from My guy loves them! 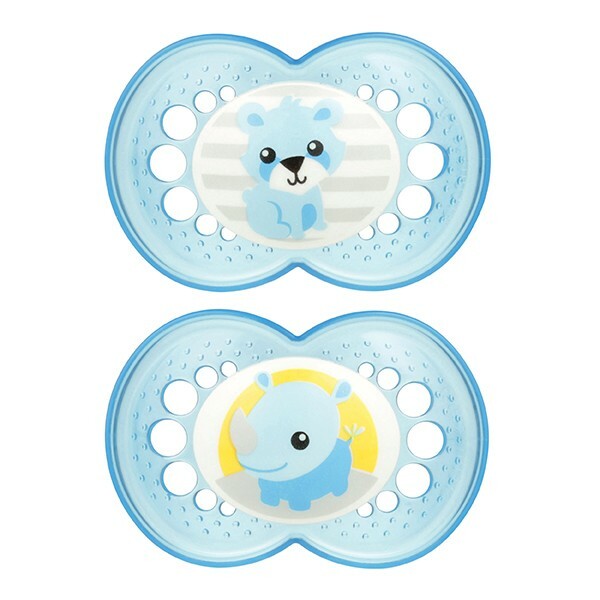 I took my little guy to the dentist a few months ago, and his dentist mentioned that the pacifiers I was using (avent soothers) could be damaging to his palate and the shape of his teeth if he continued using them. He recommended looking for a pacifier that wasn't as stiff and was thinner at the part where my little guy's teeth fall. These pacifiers are perfect! They fit comfortably in his mouth and I don't have to worry about him using a pacifier as an older child since he HAS to have one with him at all times. They're sturdy and cute, and they don't bounce far away if they are dropped. Definitely would recommend if you have a pacifier crazy little one like mine! Rated 4 out of 5 by Ellen2712 from Life Saving Paci, Designs a little dull I love the mam pacis, they never have caused problems with my son's teeth development, and the quality of the pacifiers is superb as I've never seen one break, only replaced because they were getting old. All that aside just from my honest opinion, ane the reason for a 4 star instead of 5, the 16 month + designs are a little wrong for the age group/ just a bit dull. 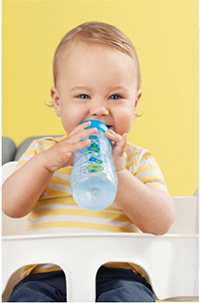 Cute, but missing something for kids who start early in their indentity, not ever too many options! Love the pacis, though, thankyou for my sanity when my son was cranky!